Well, finished watching The Oscars — 84th Academy Awards ceremony and it was OK. Nothing spectacular, but OK. I was working on things on the laptop while the show was on and flipping channels to watch the NBA All-Star game. Most of my picks that I made yesterday won. All except the Best Actress category. I picked Viola Davis to win (she won almost all of the awards this year). 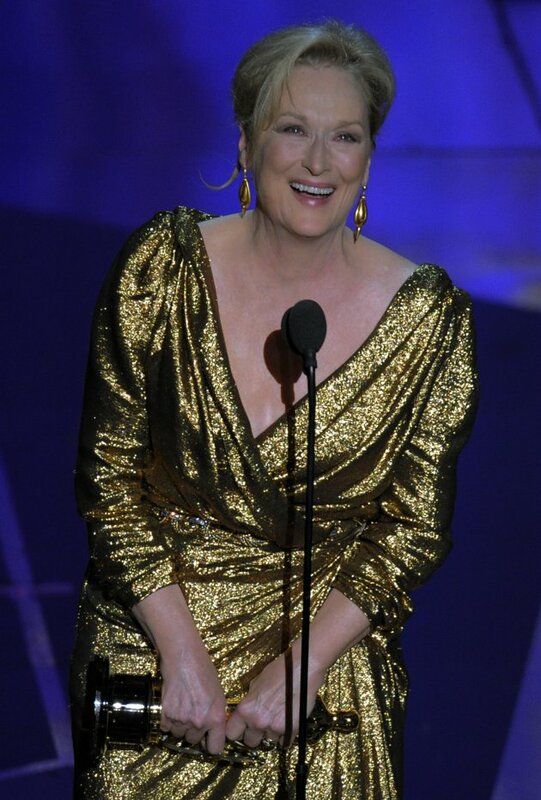 Meryl Streep – The Iron Lady won the Oscar. One of the highlights of the show was the House Band they had playing during the show. It had Sheila E., Pharrell Williams and that guy who sang the songs from Slumdog Millionaire, A.R. Rahman. I have been trying to find out who else played in the band, but I have not had any luck. Now that the Oscar season is over, now it is time for The Razzies. The RAZZIES® were created in 1980 as a logical antidote to Tinsel Town’s annual glut of self-congratulatory awards by John Wilson, author of THE OFFICIAL RAZZIE® MOVIE GUIDE and EVERYTHING I KNOW I LEARNED AT THE MOVIES. This list is from Cliff.com. Now this is an award show I would like to see on TV.